Faculty Award Action Plan Team: Develop a three-year action plan to increase awards. 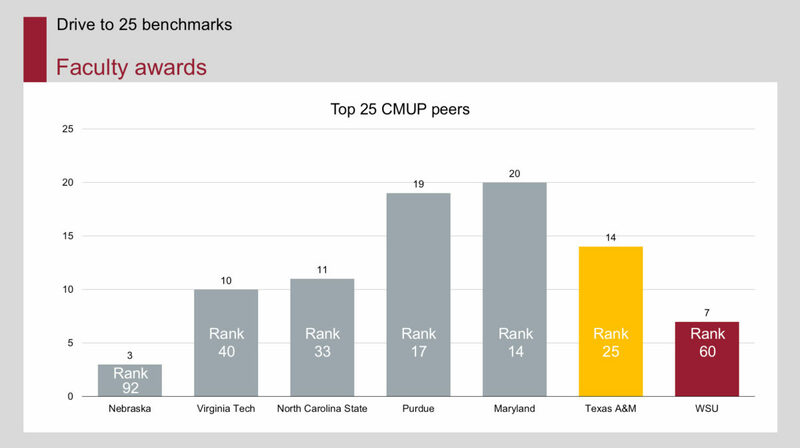 Examine the best practices of top 25 research universities to glean ideas related to increased faculty awards and recognition. Prioritized list of best practices related to awards and recognition.